Second theatre built 1847-1857 by Jozséf Cassano. Opened 3 Sep 1857. 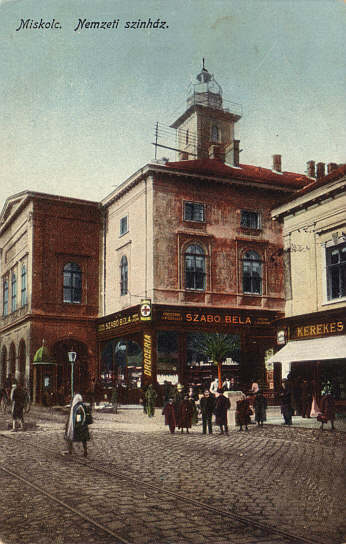 1925 auditorium rebuilding by László Vágó. 1967-1969 and 1991-1994 major renovations and additions. The complex contains five theatre halls. 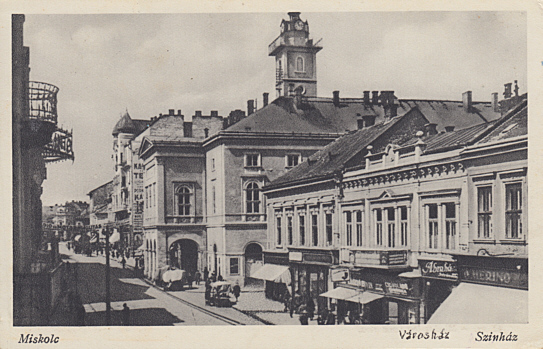 Front Text: "Miskolc, Nemzeti Színház"